These vehicles belong to the Central Saanich Police Dept. Located on Vancouver Island in British Columbia. Central Saanich is about 20 km. north of Victoria. 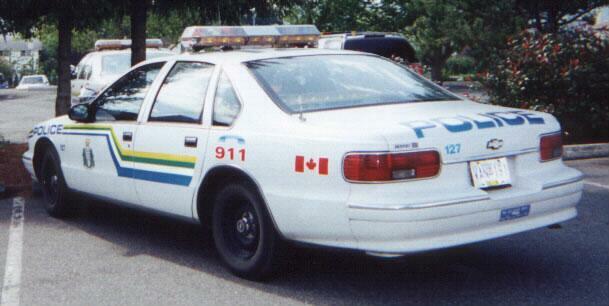 Pictures #74, 75, and 76 on these Canadian Submissions.....are not RCMP. RCMP colors on the door are a Red Yellow, white, and Blue stripe. This might be O.P.P. (Ontario Provincial Police), but definitely not RCMP.